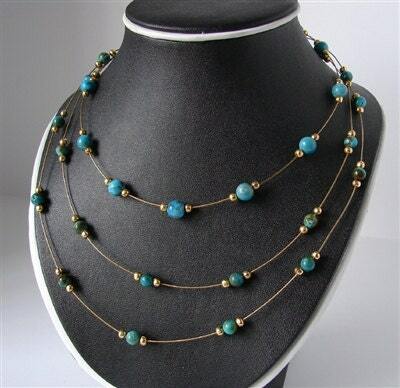 Turquoise Vinyards Design 3 Strand Necklace. 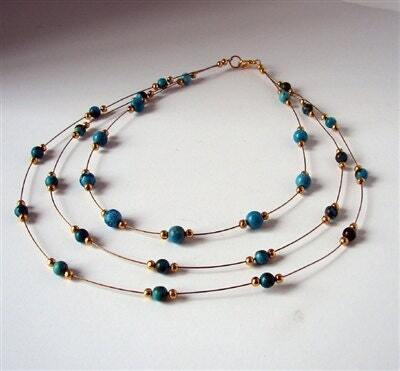 Using our fish net style, an open and light design, turquoise beads and gold plated accents in a three strand design. not over powering and very comfortable to wear. 16 inches with a 2 inch added adjuster chain.